One of the best times to find deals is right after Christmas, and seniors in Harrisburg, PA, can look forward to shopping after the holidays for some fabulous bargains. 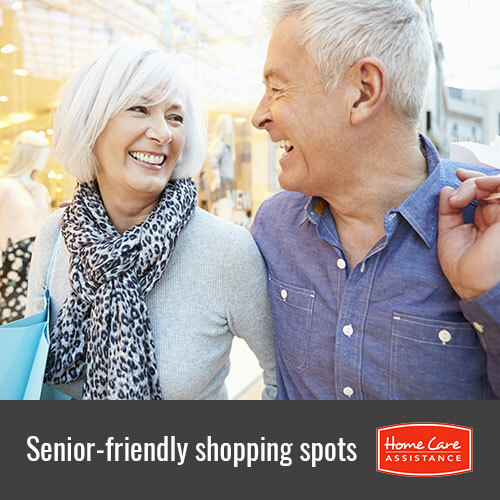 The Harrisburg caregivers at Home Care Assistance have compiled a list of 4 great shopping spots your elderly loved one should check out after the Christmas rush is over. Located at 4600 Jonestown Road, this premier shopping center offers more than 70 retailers, from Finish Line to Hollister, that your loved one can explore for amazing deals in a safe and welcoming atmosphere. The mall also advertises the sales each store is offering so your loved one can plan ahead of time which retailer to tackle first. After a day of scoring incredible bargains, your loved one can sit down to a scrumptious meal at Longhorn Steakhouse or one of the other dining choices. If your loved one has limited mobility, complimentary wheelchairs are available. Located at 1233 North Third Street, this market was founded in 1860 and is open Thursday, Friday, and Saturday at 7am. Here, your loved one will have the unique opportunity to shop from over 40 diverse vendors selling organic and locally-grown produce and freshly made meals that can benefit his or her health as well as search for bargains from the other talented dealers selling clothing, jewelry, and everything in between. This popular retail destination will be a pleasant surprise for your loved one. It’s a unique one million-square foot retail complex that offers an impressive mix of dining spots, atrium shops, entertainment, offices, and apartments. Your loved one can explore the many distinct stores throughout the complex, which include Strawberry Gifts and Ideas and Objects, and meet the storekeepers who can tell your loved one all about the specials they’re offering. After working up an appetite from bargaining, your loved one can head over to the food court and grab a bite to eat from one of the many popular restaurants, including Arby’s and Au Bon Lieu. Located at 3501 Paxton Street, this 2-level mall features over 70 shops that include Claire’s, Kay Jewelers, and Macy’s. Your loved one can check the store directory for after Christmas sales the stores are offering or simply have fun discovering the best deals that allow him or her to get a head start on holiday shopping for next year. Your loved one can also easily download the mall’s app to see coupons, promotions, and events they’re offering. Make sure your loved one has safe transportation to go shopping by hiring a caregiver from Home Care Assistance. Our dedicated caregivers make wonderful social companions, and they can also assist with a wide array of tasks around the house, including cooking, bathing, and light housekeeping. For more information on the home care Harrisburg, PA, seniors count on, call one of our friendly Care Managers today at (717) 540-4663.